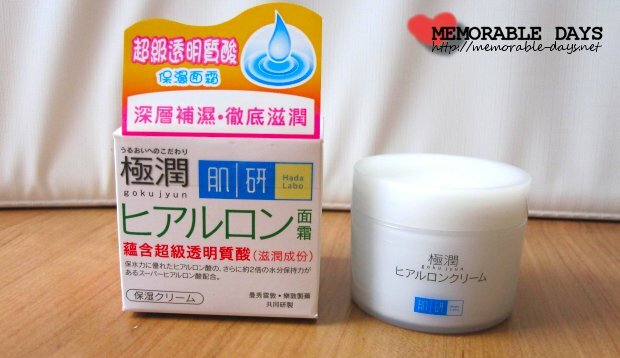 Hada Labo Gokujyun Moisturizing Cream Review | Memorable Days : Beauty Blog - Korean Beauty, European, American Product Reviews. I'm totally in love with the Hada Labo products! I'm sure that most of you have heard about this brand right? I've tried the Hada Labo Gokujyun Super Hyaluronic Acid (SHA) hydrating face lotion before and it's still one of my favorite products that I'm using. I purchased a bottle of that lotion the other day together with the Hada Labo Gokujyun Moisturizing Cream that I'm reviewing in this blogpost. I have a combination dry skin and I was searching for a good moisturizing cream for a long time. Have you used any Hada Labo products before? ♥ It contains two excellent ingredients: Hyaluronic Acid and Super Hyaluronic Acid that deeply penetrates the skin to nourish and helps restore skin's barrier to prevent moisture lost. ♥ It helps to soften epidermis, leaving skin smooth and hydrated. 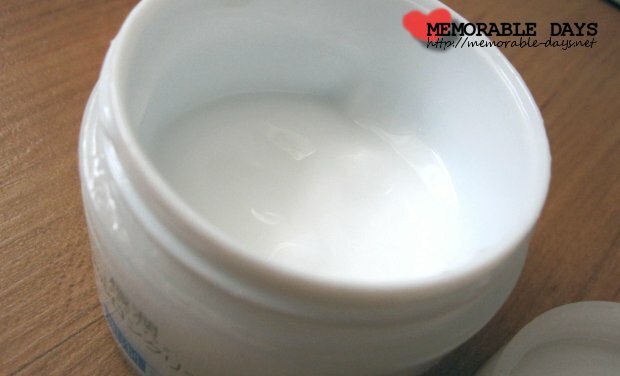 ♥ Light and non-greasy cream that infuses your skin with continious moisture. ♥ Free of fragrances, mineral oil, alcohol & colorant. It cost $14,20 (€9.80) at Sasa.com. There is 50 g. in it. 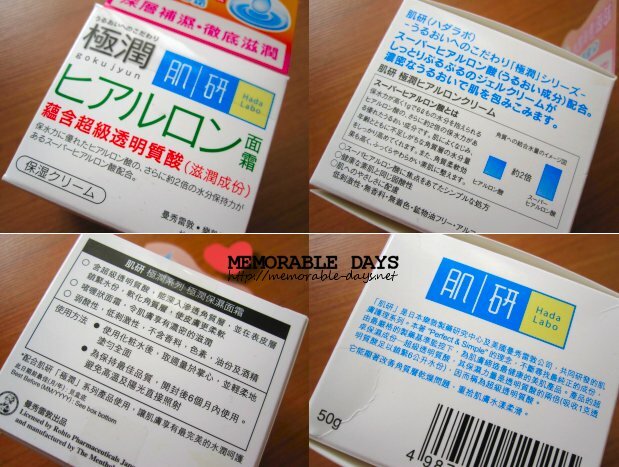 You can see a lot of Japanese characters on the packaging just like all the other Hada Labo products. Because I bought this at Sasa there are also Chinese characters on it. At the "how to use" area it says that it's better to use this product within 6 months. Also it's recommended to keep this product out of the sun/ hot areas. The packaging of the actual product is very clean and simple looking. The cream is in a small white jar. You just need to twist the cap open to get the product out. Unfortunately it doesn't come with a small scoop so you have to use your finger to get the product out, which is not hygienic! I've already used half of the jar within 2 months. I'm sure that I'm able to finish the whole jar within 6 months. The cream is sheer and light, you only need a little bit for your whole face. However, it does feels a bit sticky on the face after application. The sticky feeling remained for at least 5 minutes, you have to pad the cream on your face to make it absorb faster. I recommend to use this product at night only. A thick layer is definitely not recommended, otherwise it will take a long time until its fully absorbed into the skin. On the packaging it says that you have to use it twice a day after the moisturizing lotion. 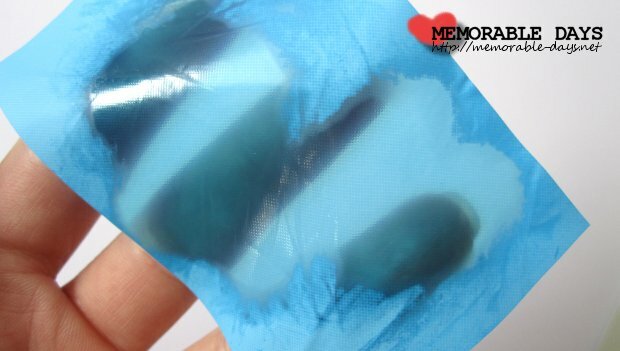 Apply it on the palm and gently pad it onto the skin until its thoroughly absorbed. I'm surprised that this cream really works! It's so sheer and light but it definitely moisturized my face. It kept my skin moisturized for the whole day and I kinda like it that this cream is scentless. Besides, I also like the simple white packaging. Unfortunately this jar isn't very hygienic since you have to get the product out with your finger. Also one of the downsides of this cream is the sticky feeling that you will get afterwards. This sticky feeling does go away after 5 minutes or so. The cream also made my skin a bit oily. I used a Clean & Clear oil control sheet after I applied the cream for 30 minutes and you can see the result below.... it's a bit oily >.<". However, my skin felt soft the next morning and still moist =D, so I will buy another jar after I'm finished with this one. Note: I have combination dry skin, which means that my t-zone is quite oily itself. The sheet that you see below is from the product but also from my t-zone.